Ashley Hebert has given fans a first glimpse of her newborn daughter. 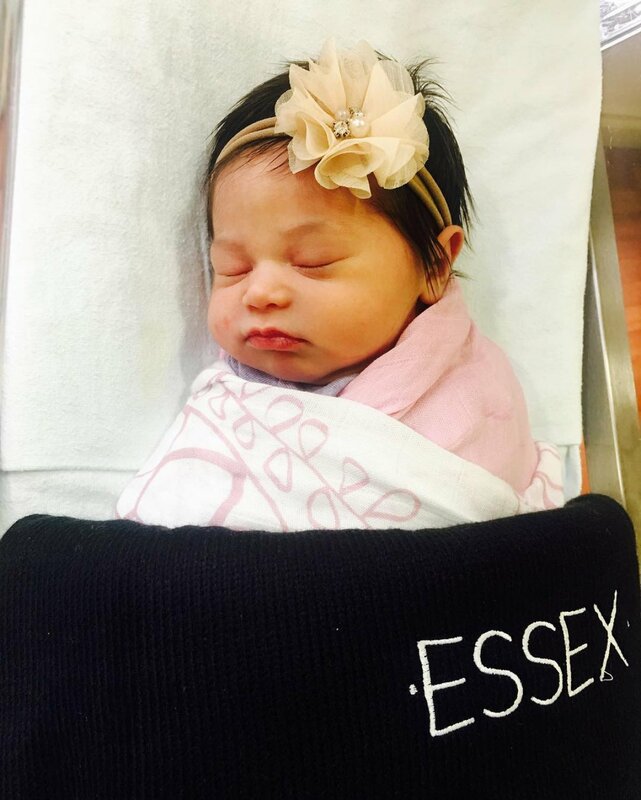 The 31-year-old "The Bachelorette" Season 7 star shared a picture of Essex Reese on Instagram after welcoming the infant with husband J.P. Rosenbaum last week. "Introducing Essex Reese Rosenbaum," she captioned the photo. Rosenbaum also posted a picture of himself with Hebert and their daughter on his own account. "Day 2 nearly over and hopefully headed home soon where my perpetual fear of future boyfriends begins," he wrote. Hebert and Rosenbaum married in 2012 after getting engaged on "The Bachelorette" Season 7 finale, and welcomed their first child, son Fordham Rhys, in 2014. Hebert gave birth to Essex on Nov. 4. "Ashley and I are so excited to welcome this sweet and beautiful child into the world," Rosenbaum told Us Weekly. "She is the perfect little princess and we can't wait to take her home!" "Fordy is going to make a great big brother and he can't wait to meet 'baby.' Both mommy and baby are doing great!" he added. Hebert was the runner-up on "The Bachelor" Season 15 with Brad Womack before starring on "The Bachelorette." She and Rosenbaum filmed their wedding for the TV special "The Bachelorette: Ashley and JP's Wedding."